Want an exciting and turbocharged SUV for your travels around Los Angeles and up and down the California coast? We can't recommend the new Porsche Macan enough, a gorgeously designed blend of a sports car and an SUV that's available with five engines, and a range of unique tech and design features you'll love. Listen and watch these British folks enjoying their Macan at every angle by pressing play, then visit our Porsche dealer serving Los Angeles today to try it out for yourself. Of course the Macan you test drive at our Thousand Oaks Porsche dealership will have the driver seat and steering column on the left side, instead of the Brits' opposing setup. But what remains the same is the high-end design and the exhilarating engine options. The top of the line turbocharged V-6 engine delivers a thrilling 440 horsepower, giving you and your family a far more dynamic setup than any old average small crossover on the market. 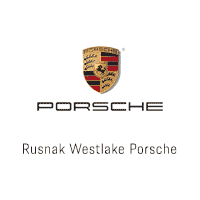 Head on over to Rusnak/Westlake Porsche today and find the Macan setup that works for you.